“Allowing and/or encouraging people to inject heroin into their veins is not harm reduction, it is the opposite. 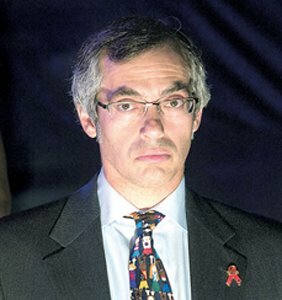 … We believe it is a form of harm addition,” Tony Clement said Tuesday in Mexico City, where he is attending the XVII International AIDS Conference. If it isn't already bad enough that Tony Clement contradicts reality, he then contradicts himself. While the minister's views on Insite are well known, Mr. Clement repeated them Tuesday at an event where he was endorsing and promoting a new WHO “how-to” guide on battling the epidemic, which promotes needle exchange and safe injection sites. The Health Minister's comments left officials from the agency flummoxed and red-faced. It would have been far better for him to stay home from the conference like Stephen Harper did when Toronto hosted last time. At least then we'd only be asking why he didn't show up. Instead we're left to ask why he did show up.